I made these easy peasy lemon bars last week to make sure they would be good enough for the guests on Easter (wink, wink). Recipe adapted from Cooking Light, I substituted GF Jules all purpose flour for all the wheat flour in the original recipe and yep, they’ll be on repeat this weekend. 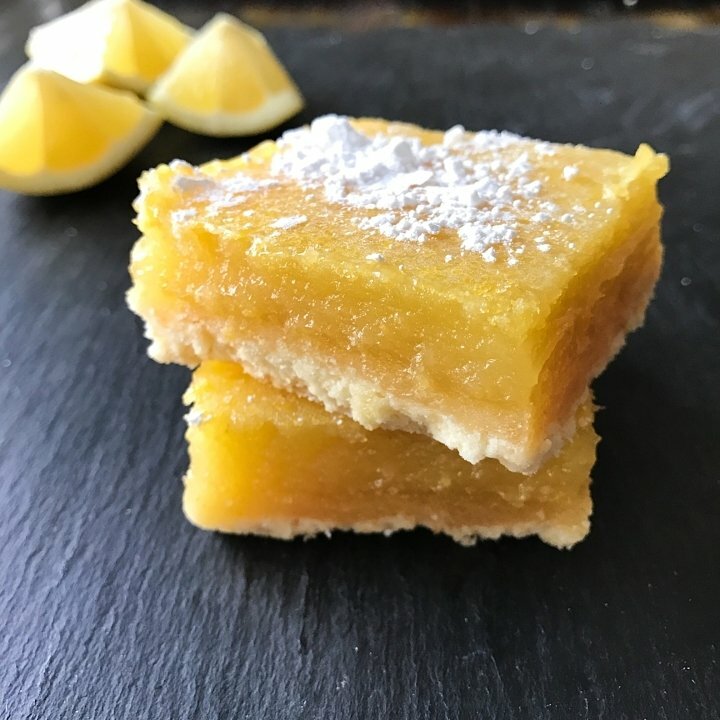 Click here for the original recipe for the lemon bars. The recipe is adapted from Cooking Light. I substituted GF Jules All Purpose Flour for the regular flour in original recipe. Hi. Sorry I’m just seeing this! The recipe link in at the bottom of the post. Scroll down and let me know if you have any further problems. I was looking for the recipe as well and I don’t see it anywhere. Hi Gigi. Do you mind telling me if you are searching on a phone or computer? I am trying to figure out where the glitch is. If you looking at the recipe post and scroll to the very bottom there is a link highlighted in orange that will take you there. Let me know if you find it.